I was born in South India and I am the only girl child to my parents. 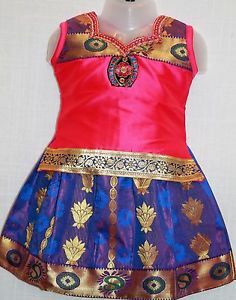 After living for 27 years in India and got used to traditional Indian clothing, I can say that I know good information about south Indian fashion and Indian dress styles.When I saw my own photos in old albums (while reminiscing my good old memories), I want to try all those different Indian dress styles on my pretty daughter too. Do you know how many different Indian dress styles are there for girls, teenagers, young women, middle aged ladies or old women? Till my tenth standard, i had elegant zari collection frocks for simple usage, Pattu Pavada (traditional Indian clothing for young girls) for Indian wedding / temples, Little Punjabi lehenga also known as Punjabi Gagra choli for school performance with my friends. One of my friend's mother even made a small saree for competitions. They were my favorites. As a teenager, Salwar kameez (Majority of south Indians call it as Punjabi salwar kameez ) is the ubiquitous dressing. There are many varieties in Punjabi Salwar Kameez like cotton salwar kameez, Pakistani salwar kameez, cotton silk salwar kameez, party style, one section for temple(for religious activities), a few for marriages; I can never forget my closet (I didn’t get rid of them even though i had outgrown them). South Indian traditional dress half saree (we call it as langa oni)was famous when my mom was teenager. But even now, every teenager in south India will have at least a couple of them in their kitty. 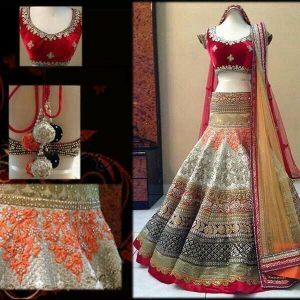 I didn’t wear Lehenga choli styles when i was a teenager but i see so many teenagers wear Lehenga choli for parties, marriages etc. Floor length Anarkali (Indian long dresses) has gained immense popularity. When i started my career, i had to wear saree daily. I got to know how many saree varieties are there in the process. Elegant cotton sarees,Georgette sarees,Chiffon sarees(a light, sheer fabric)and Crape silk for work. 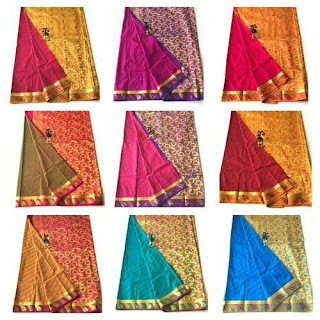 Wedding Pattu sarees(designer silk) with work on them for weddings and parties Special Soft silk sarees for temples. Kancheepuram silk (Indian bridal sari) on my wedding day. I could not try marathi style (Priyanka and Deepika wore in Pinga da pori song), Bengali style, Tamil style saree (like M S Subbalakshmi wears on stage shows) I tried Rajasthani during a school drama But you can imagine that each state in India has its own famous saree variety worth trying once in our lifetime. After coming to USA, from the past 3 years, i have been trying to find the dresses i like. But i see the cost of the simple clothes over here are very expensive and literally i haven’t bought even one variety here except nighties (as they are necessary, i had to buy them even though they are relatively very costly) I have explored many shops and even in online to get a beautiful Lehenga to celebrate my lovely girl’s first birthday.I did not find good quality ones with reasonable price.moreover they are approximately 6 times higher than Indian prices. During my three weeks India vacation ,i couldn’t find much time to concentrate on shopping,forgot so many things to buy ,more over husband's strict instructions on luggage /weight etc. 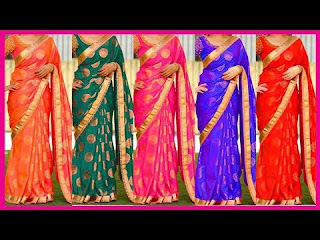 During festival times especially sravana(sawan) month and dussera days after performing puja i want to offer a nice sarees to friends.Failed to get good quality ones with comparable price to indian prices. Though we are living in USA or any other countries wearing our traditional dresses gives you more joy, kids too love to wear traditional dresses. Twice i had planned and bought from INDIA with my mom’s help and got them parceled but it was and still is a lengthy process.some times i won’t get much varieties at my moms place. If i can find some way to order them from here with minimal shipping costs and almost comparable rates (w.r.t India rates) i would be game to do shopping every now and then. We never forget a few things like mother's food,earthy fragrance during the rain ,our good old memories.I want to see myself in my daughter whenever she dresses up.Let us wait and see if i get deja vu feeling.